NEW YORK -- A New York City police officer involved in the arrest of a man who died in custody after being placed in an apparent chokehold has been stripped of his gun and badge and placed on desk duty, police said Saturday. Officer Daniel Pantaleo, an eight-year NYPD veteran, and an officer who has been with the force for four years were both taken off the street after the death Thursday of 43-year-old Eric Garner on Staten Island, police said. "What? Every time you see me, you want to mess with me," Garner says to an officer in the video before he is arrested, CBS New York station WCBS-TV reports. The video then shows one of the officers placing Garner in what Police Commissioner William Bratton said Friday appeared to be a chokehold. The tactic, which can be fatal, is prohibited by departmental policy. The department disclosed Pantaleo's reassignment hours after Garner's wife, Esaw, burst into tears at a Harlem rally where Rev. 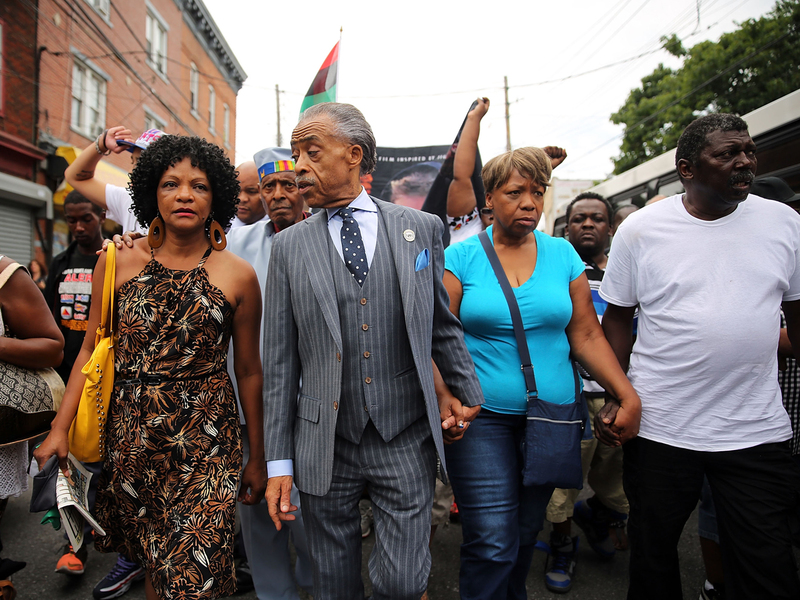 Al Sharpton said his death could strain the black community's relationship with the police department. According to federal court records, three men have sued Pantaleo within the last two years over what they argued were unlawful, racially motivated arrests on Staten Island. Garner's death evoked memories of a similar incident 20 years ago. Police officer Francis Livoti was dismissed from the NYPD and convicted by a federal jury of violating the civil rights of a Bronx man who died after he apparently used a chokehold on him in 1994. Livoti has denied he used a chokehold, insisting Anthony Baez died from an asthma attack. The case remains one of the most high-profile allegations of police brutality in city history.